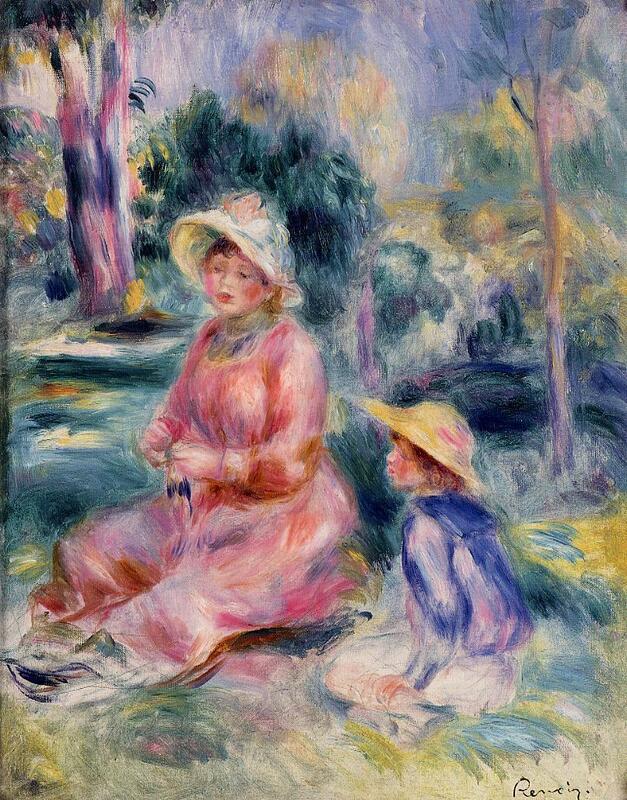 Renoir met Aline Charigot, a young dressmaker of 20 years old then, in 1879, when the artist was nearly 40. 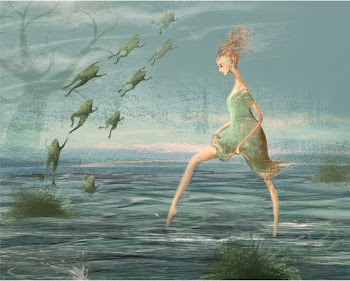 Aline's father was a wine grower from Essoyes, a small village in the province of Champagne. Alina's mother was also a dressmaker. When Aline was 15 months, her father left for America, her mother found a job somewhere far from Essoyes. 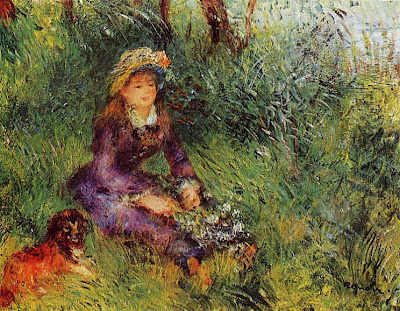 Aline lived with her uncle and aunt until her mother moved to Paris in 1872. Two years later Aline joined her and started working as a dressmaker. 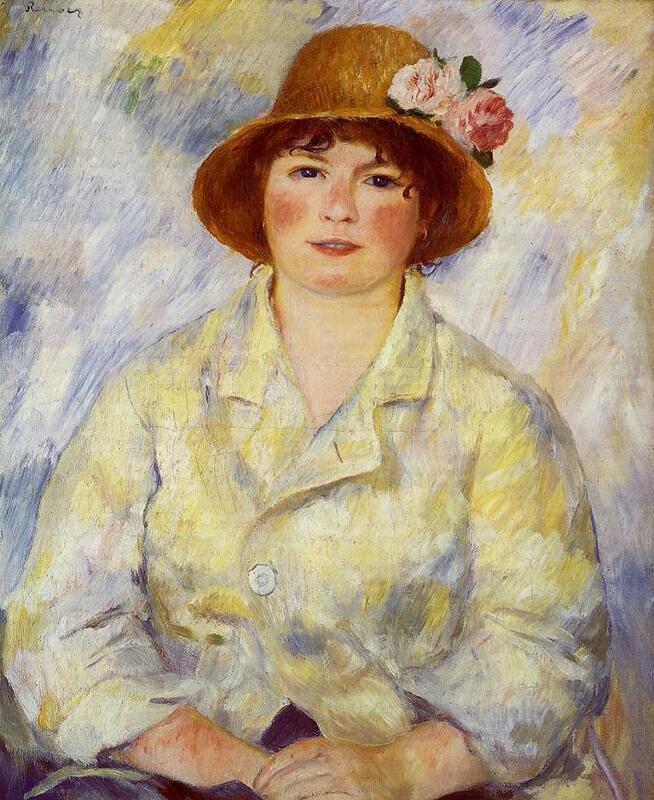 Renoir met Aline in the crémerie of Madame Camille, on Rue Saint-Georges, where he was a customer. He particularly liked Brie cheese which he called "the king of cheeses". Aline, a well-built blonde, became the artist's model and later his lover. 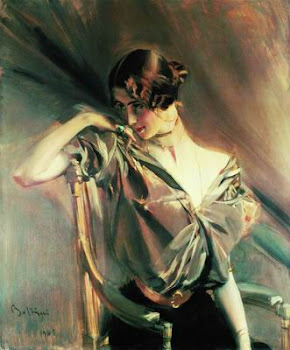 The owner of the atelier, where Aline worked, kept telling her to start looking for a husband - "rich, and not too young". 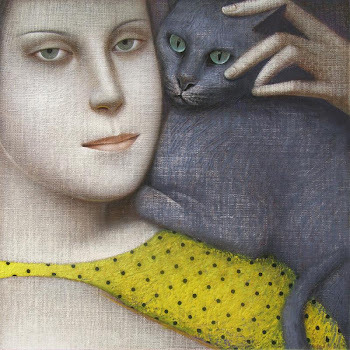 But Aline was attracted to her neighbor-artist, although he was not neither rich nor handsome with his sunken cheeks, twitching face, sparse beard, bushy eyebrows, and stooped back. Renoir's son, Jean, stated in his book that his father began portraying his mother long before their acquaintance. 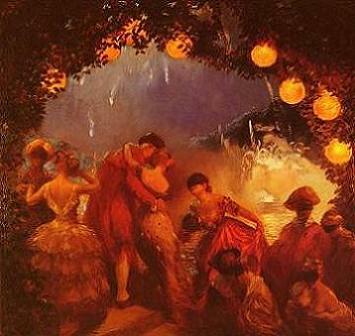 Indeed, in many canvases, such as The First Outing (1876), his model looked very much like Aline. 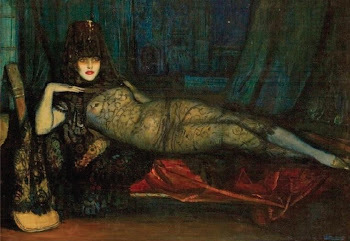 She strikingly coincided with the female type the artist had created in his works. 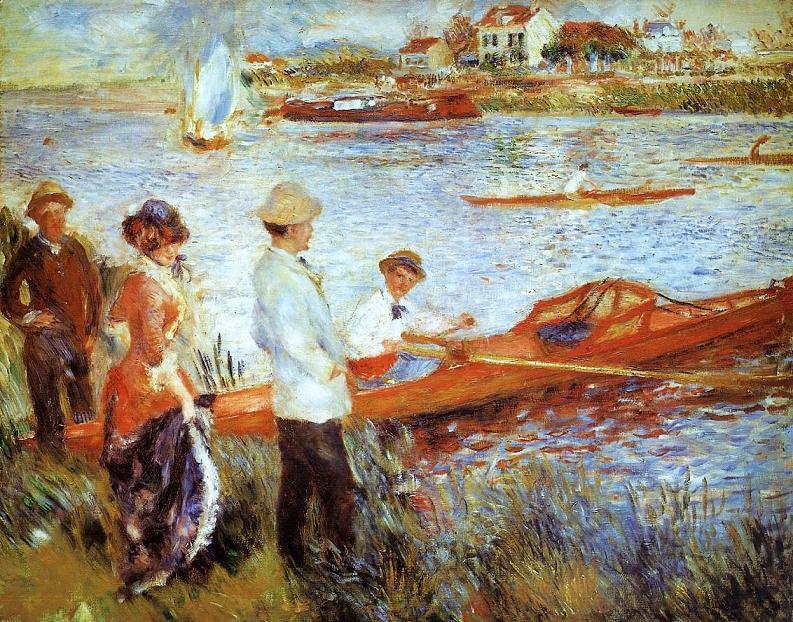 In 1879, Renoir painted her in "«Oarsmen at Chatou» - Aline in a red dress is standing on the bank of the Seine near Edmond, dressed in a white shirt. In 1881, Aline Charigot appeared in another Renoir's painting "The Luncheon of the Boating Party". She is the young woman in a hat with flowers and a Pekinese dog in her hands in the lower left corner of the canvas (Renoir liked luxuriant ladies' hats of the fin-de-siècle. 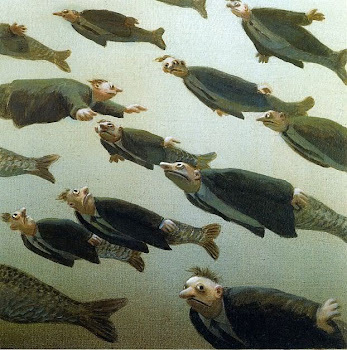 Sometimes he ordered extravagant and even bizarre hats for his models.) 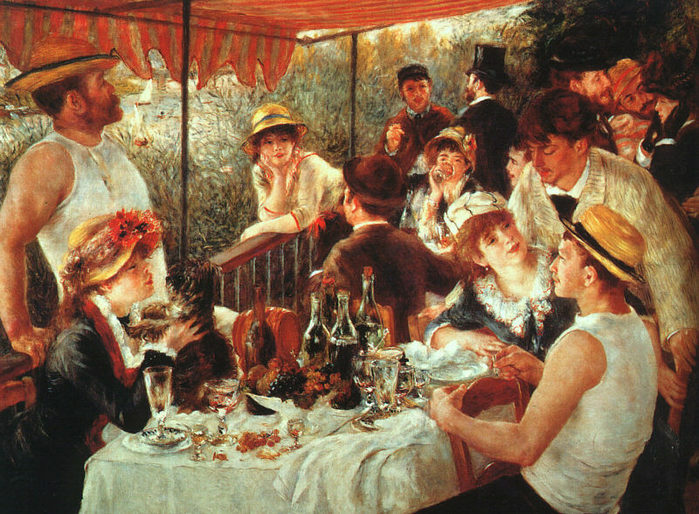 The man on the left is Alphonse Fournaise, the restaurent owner's son; the girl, leaning on the railing, is his charming sister Alphonsine; Gustave Caillebotte, close friend of Renoir and a wealthy artist, and Angèle, a Montmartre model, are across the table from Aline; Renoir's friends Maggiolo, Ephrussi, Lestringuèz, Lhôte, Ellen Andrée and Jeanne Samary in black gloves are also in the painting. 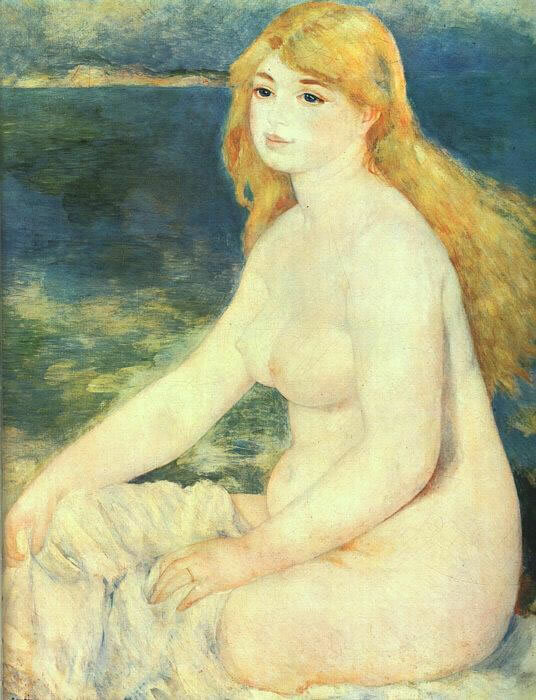 The same year Renoir, living on Capri, created one of his best paintings "The Blond Bather" with Aline as a model. 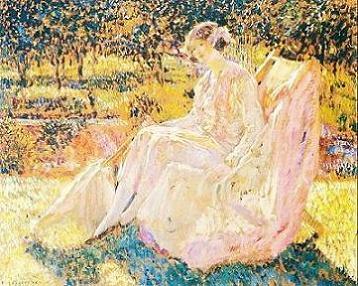 According to some sources, the artist went to Italy alone and painted Aline from memory. 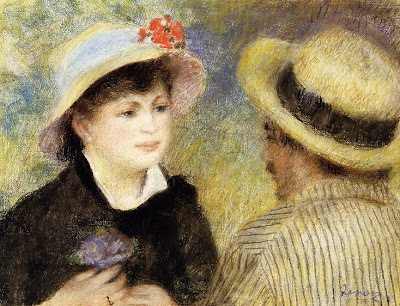 Aline and Renoir got married 10 years later in 1890, in Paris, although their first son Pierre was born in 1885 (Renoir painted flowers on the walls in the doctor's appartment for assisting Aline with the delivery, and Gustave Caillebotte became the godfather). Aline knew quite a bit about good food and wine, and their home in Montmartre was the most hospitable, where a guest could always have a generous plate of beef with vegetables. 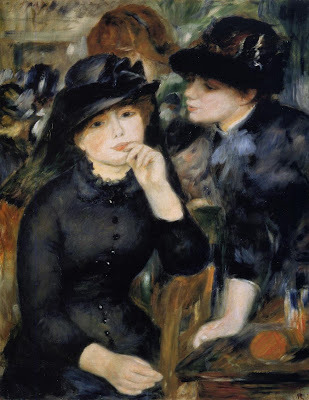 In 1883, Renoir executed two "Dance" paintings as decorative panels for Mr. Durand-Ruel, his firend-patron-dealer, La Danse a la Campagne and La Danse a la Ville (Country Dance and Dance in the City). 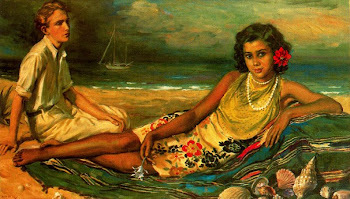 The artist's friend Paul Lhote was the male model for the both paintings, Aline posed for Country Dance, Suzanne Valadon was the girl in the Dance in the City. In 1894, after Renoir's second son was born, and the artist met his new muse. 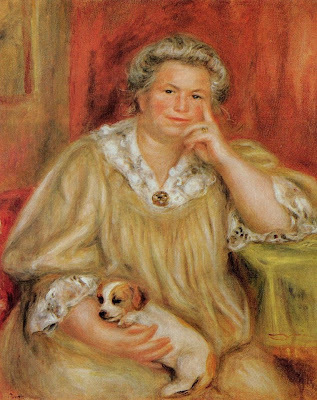 Renoir's third son - Claude, Coco - was born in 1901, in Essoyes. Since 1903, the Renoirs had been living in the village - in the town of Cagnes-sur-Mer, which is halfway between Antibes and Nice. 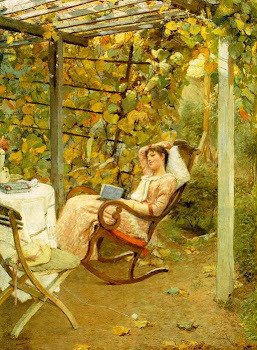 At first they rented rooms, but soon they bought villa Colette with old olive trees and a kitchen garden where Alina grew vegetables and spicy herbes. In 1914 the First World War broke out and Renoir's elder sons were drafted into military service and fought on the front. After some time, Pierre was wounded in the forearm, and Jean was smashed by a bullet on the femoral neck, both lying in hospitals, this misfortune added to Aline's condition - for years she had suffered from diabetes, but hidden it from her husband and tried treating it secretly. Alina died in Nice on June 27 at the age of 56 years, buried in the essay. 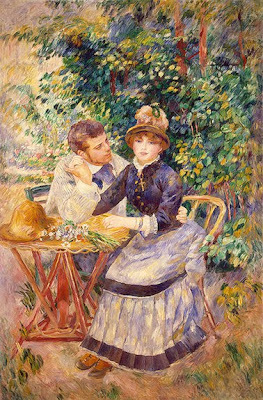 In 1916 Renoir invites sculptor Gino to come to the essay and execute on the basis of his sketch bust of his late wife. Beautiful, gorgeous post. I've always loved Renoir, but didn't know the story of Aline, he must have loved her very much. Thank you for the lovely paintings. 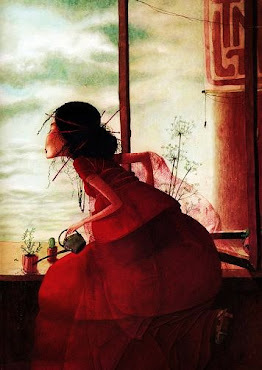 I'm sorry but, could you tell me the name of the author and the year of this post?